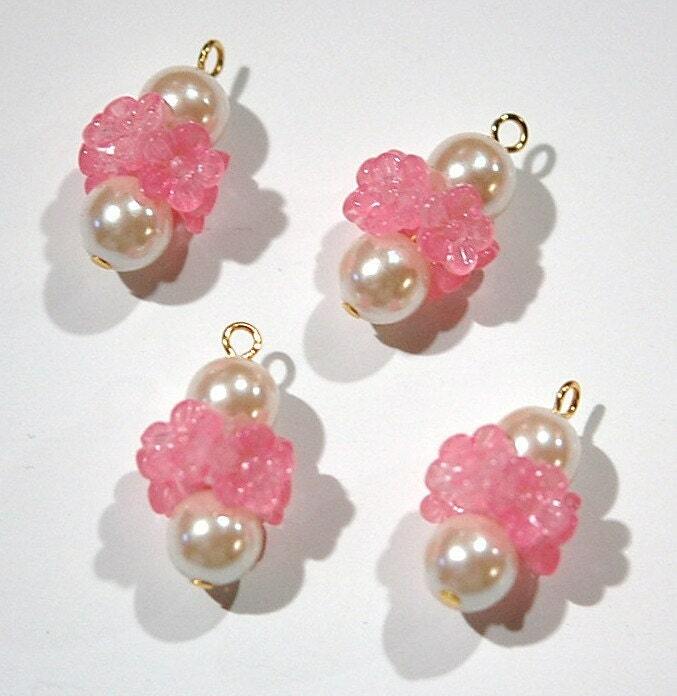 These are vintage floral rhondell and pearl drops from the 1980's. The rhondells have flowers going all around them. There is a loop at the top for attaching to your creations. The pearl measures 8mm. The entire pieces measures 22mm long X 13mm wide. You will receive 4 pieces. I have a coordinating heart and pearl drop listed too. 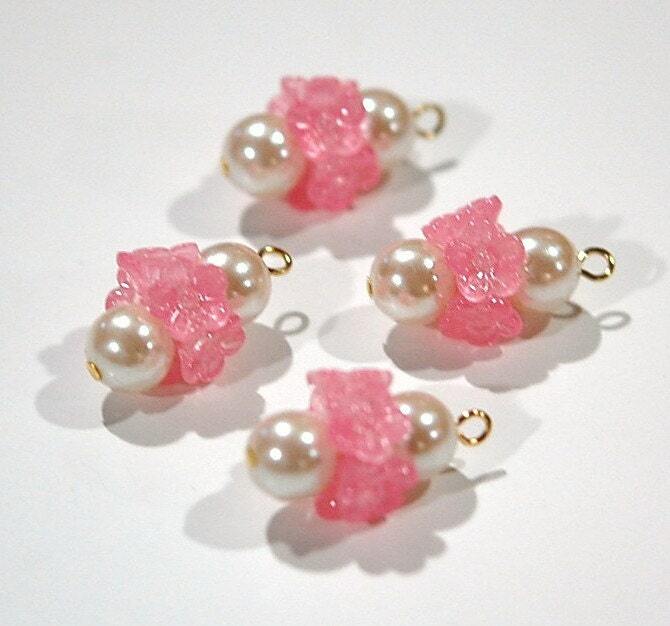 Love these pink charms. I really haven't seen anything else like these pretty charms. I will definitely be returning to make future purchases. Shipping was extremely fast. i love this little charms!